Are Energy Star Appliances More Expensive? Many of you have asked whether Energy Star appliances cost more than traditional machines, and whether they are a wise choice economically. On any home appliance, the Energy Star designation means that the U.S. Department of Energy has independently certified that particular product as being the most efficient in its category. Now let’s look at the nuts and bolts of how a certified appliance can save you money, and how to determine the best time to upgrade. 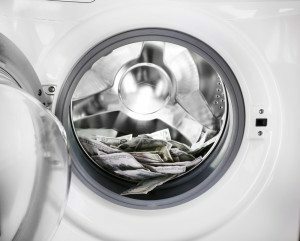 Do Efficient Appliances Actually Save Money? According to the National Resources Defense Council, Energy Star appliances have saved U.S. consumers more than $200 billion to date, or about $2,000 per household. They have also cut consumer electricity use by 5 percent and significantly reduced environmental pollution. The NRDC predicts that these electricity and cost savings will more than double over the next 20 years. Generally speaking, these ultra-efficient models will save you several hundred dollars in electricity use over the life of the appliance. But the price difference between an Energy Star certified model and the alternatives is usually negligible. Ultimately, the answer to this question seems to be an emphatic yes! When Should You Replace Your Old Appliances? The NRDC recommends replacing any appliance manufactured before 1994 to realize immediate cost and electricity savings. Standards and technology improve constantly, so any model that’s 10 years old or older is probably costing more than it should to operate. Federal, state and local governments and your local utility company offer a variety of rebates and other incentives for purchasing efficient appliances. You can use the EPA’s rebate finder tool to identify all the incentives in your area. If you’ve been considering an upgrade, this tool can help you identify the best time to go shopping! In addition to looking for the Energy Star label, consider a few other energy-saving tips for choosing new appliances. Refrigerators with freezers on top use 10 to 15 percent less power than side-by-side models of the same size. And, of course, the larger the refrigerator’s capacity, the more power it will need to operate. Top-loading and front-loading washers use roughly the same amount of electricity. However, front-loaders use significantly less water. If your home has natural gas, choose a gas dryer over an electric model to save money and power. Choose dishwashers that offer light wash or power-saver cycle options as well as the option to dry dishes without heat, to save even more money. Finally, keep your home appliances in good working order. Have them inspected and maintained at least once a year. Worn or faulty components will draw more energy, even when it seems like everything is working correctly. 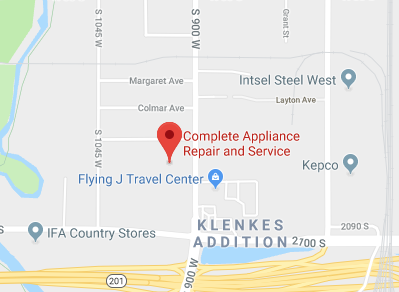 Complete Appliance Repair, serving Bountiful and the communities of the Salt Lake City area, specializes in sales, installation and maintenance of all types of home appliances. Contact us today for even more helpful hints to keep your appliances running well, and for help choosing the right Energy Star appliances for your home and family. This entry was posted in Blog and tagged Energy Star, Energy Star Appliance Cost on January 6, 2016 by admin.